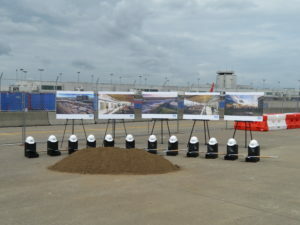 We were honored to be in attendance for the ground-breaking ceremony of the Concourse D expansion at Nashville International Airport. 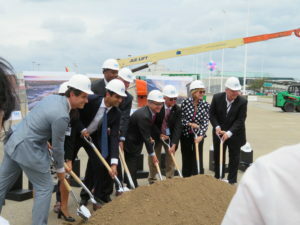 John W. McDougall Company is partnering with Hensel Phelps to assist in this expansion, focusing on the central utilities building within the concourse. 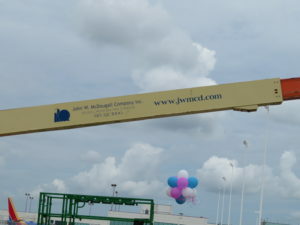 Our company was proudly represented on the lift boom, as seen above the MNAA committee’s heads in the picture below. 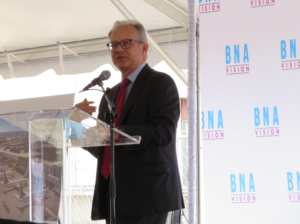 We look forward to continuing partnerships in the future, as we see beautiful Music City grow!